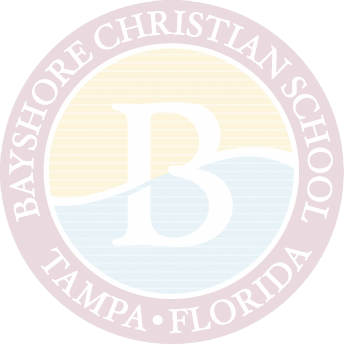 At Bayshore Christian School, our small environment is an advantage for the students as they prepare for college. We take the time to focus on each student’s individual goals and work closely with families to ensure students know which important steps to take towards college. We offer our students the option of participating in demanding Advanced Placement and dual-enrollment courses, or the option of completing high school at an average pace. Our dual-enrollment classes are on campus during the regular school day and taught by Hillsborough Community College teachers who come to our students. Our goal is to optimally position students of varying ability levels to take advantage of opportunities afforded to them after high school. 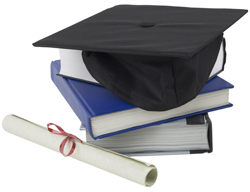 For information on scholarship opportunities and a list of the colleges and universities Bayshore students have entered, visit our Scholarships and Matriculation page. Please feel free to contact Christina Stenholm, Guidance Counselor, at any time. Most of the difficult decisions of this stressful year should have been made! 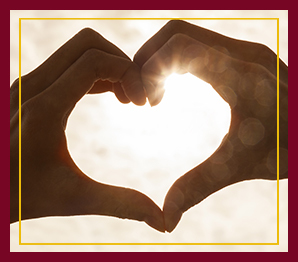 A deposit to secure your place at the university of your choice is usually due by May 1. Financial aid may still be in the works. On May 1, we will allow the seniors to wear tee-shirts with their college name. This year's PSAT will be on Wednesday, October 9, 2019, in the school media center. Results should be in during late December or January. Free test practice for the PSAT and SAT is available online through a partnership of the College Board, publishers of the SAT, and Khan Academy. Check it out at the Khan Academy website. After taking the PSAT in October, students may link their results to the Khan Academy website and get a personalized study plan for improving their SAT score. The SAT school day testing will be on Wednesday, October 16, 2019. Terra Nova testing for grades K-5 through 8 will be April 15–18, 2019. Please make sure your child is present on these dates. The student must be a high school student. The student must have a cumulative unweighted GPA of 3.0 or higher. The test scores necessary for HCC dual enrollment have changed because of the new SAT. You can find the test score information on the HCC Dual Enrollment webpage under Steps to Admission. We require an application for admissions to be on file before students can take the PERT. You may contact the office for testing at HCC at (813) 253.7393. Students who satisfy course requirements receive three college credits for each course. Dual enrollment course offerings vary from semester to semester. For a complete list of dual enrollment classes offered in the current or upcoming school year, please contact our guidance office. For additional information, please visit the Hillsborough Community College website. Major concentration in composition, reading for information and literature. Mathematics	4 credits	One credit must be Algebra I or its equivalent and one credit must be Geometry or its equivalent. Two credits must have a laboratory component and one credit must be Biology I or an equivalent course. Must be the same language and must be taken in consecutive years. PE requirement is met with two seasons of a high school sport. Grade point average must be at least 2.0 on a 4.0 scale. For honors classes we add .04 to the GPA if the student has a C grade or higher in the class. For AP and dual-enrollment classes we add .08 to the GPA if the student has a C grade or higher in the class. Students also need one Florida Virtual School class in order to graduate. Please use the information below if you are a senior completing your college application. We recognize that preparation and practice is the key to success. We begin preparing our students for graduation and college entrance exams early. We want them to feel confident and comfortable when it counts. For transcripts, please see Matti Valdivia, our registrar. You can reach her by email or in the school office. If you come into the office, you will need to fill out a form with the address of the college receiving the transcript. Please allow 48 hours for your request. It can take up to two weeks for the college to receive your transcript. We do not advise sending a transcript without completing the application prior to the request. Be prepared! Research potential college choices, and know exactly what they expect. University of Tampa Instant Decision Day - November 7 at 1:00 p.m.
University of Alabama - November 29 at 9:45 a.m. in the library.